There was a time when this category was refreshingly wide-open. Unlike in past years, where two heavy-hitters would duke it out for the crown (see: Moonlight v. La La Land, Spotlight v. The Revenant, Birdman v. Boyhood), it seemed like every now-nominee except The Post and Darkest Hour had some chance of taking home the trophy. Disappointingly, the race has dissolved into the same old same old. The darkly fun I, Tonya’s spot was arguably stolen by the stuffy Darkest Hour, while Dunkirk, which would have been an obvious frontrunner even five years ago, is now suffering from its early release date. Get Out and Lady Bird, two potential winners whose victories would have been game changing for the Academy, have now taken a backseat to the inexplicable steamroller that Three Billboards Outside Ebbing, Missouri has become. Having swept at the Golden Globes and SAG awards, Three Billboards is poised to prevail. The only hope for a (more deserving) film without highly questionable racial politics to triumph comes from Guillermo del Toro’s The Shape of Water. The monster romance and love letter to old Hollywood has been gaining traction following major wins at the Critic’s Choice and Director’s Guild Awards. With the backlash against Three Billboards growing, and helmer Martin McDonagh failure to pick up a Best Director nomination, the tides are hopefully turning in The Shape of Water’s favor. As mentioned previously, Three Billboards Outside Ebbing, Missouri’s Martin McDonagh was surprisingly left out of this category. While he had little chance of winning, his exclusion makes this category much more exciting; Greta Gerwig, Jordan Peele, and Paul Thomas Anderson all secured nominations in his stead for their respective masterpieces. Anderson’s nomination, as well as the overall love shown to Phantom Thread, was certainly the least expected. But, Gerwig and Peele’s inclusion is the most important; they become the fifth female and fifth black director, respectively, to achieve the honor. 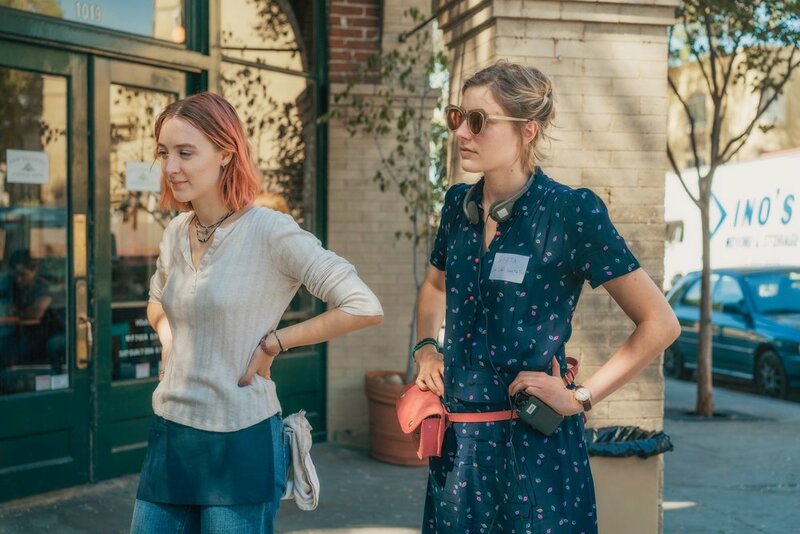 Gerwig’s place here was questioned in the lead-up to nominations; the Best Director award most often goes to an auteur at the helm of a film of impressive scale and technical achievement. However, Lady Bird’s universality is a feat in and of itself. Everyone can relate in some capacity to the film, a testament to the atmosphere and direction provided by Gerwig. Still, the title is Guillermo del Toro’s to lose. The Shape of Water boasts everything that the Academy traditionally looks for in direction, and del Toro has been cleaning up across the board in this category. Should’ve Been Here: Good job, Academy! In what will be the most predictably yawn-inducing decision of the night, Best Actor will almost certainly be handed to Gary Oldman for his turn as Winston Churchill in Darkest Hour. Oldman’s transformation is remarkable, but this is due less to Oldman’s personal skill than it is to an incredible prosthetics department. Standing behind him are four actors whose performances are captivating without technical aides. Most notable is Get Out’s Daniel Kaluuya, who deserves the now infamous “sunken place” scene alone. Losses for him and Timothée Chalamet are perhaps for the best, however, as neither deserves to run the risk of peaking too early in what will no doubt be long, illustrious careers. James Franco’s grungy Tommy Wiseau impression was thankfully deemed unworthy. Should’ve Been Here: Good Job Academy! While the competition for a nomination in this category was steep (Academy favorites Judi Dench and Jessica Chastain were both left out in the cold despite worthy performances), the race to the finish line is much less interesting. Like Gary Oldman, Frances McDormand has been the darling of nearly every award show so far this year. McDormand’s fiery performance as grieving mother Mildred Hayes is least likely to be touched by the Three Billboards controversy, but the actress herself may have thrown a wrench in her own campaign. The actress, who already has an Oscar in the form of a Best Actress prize for Fargo in 1998,, said in her SAG acceptance speech last month, “There’s a lot of young ones coming up, and they need doorstops too.” This was widely interpreted as a plug for twenty-something nominees Saoirse Ronan and Margot Robbie (and perhaps even Kaluuya and Chalamet). Ronan, who is now on her third Oscar nomination, collected the Best Actress in a Comedy trophy at the Golden Globes for her titular role in Lady Bird. She is certainly deserving, but the true hero is The Shape of Water’s Sally Hawkins. The Best Picture contender is carried by Hawkins, an undertaking made all the more exceptional by the fact that Hawkins does not utter a single word during the film’s 123-minute runtime. Meryl Streep’s obligatory nomination for The Post should have been claimed by Vicky Krieps, the relative unknown who more than holds her own against Daniel Day-Lewis in Phantom Thread. A nomination for Day-Lewis should have meant one for Krieps, who has been criminally overlooked during this awards season. 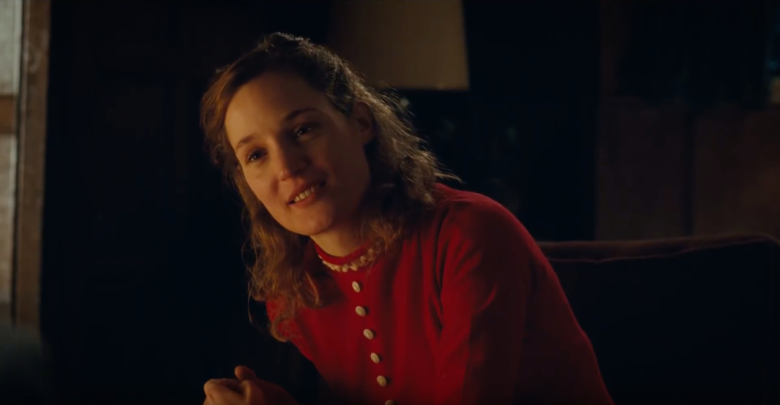 Should’ve Been Here: VICKY KRIEPS!!!!!!!!!!! Three Billboards mania strikes again as Sam Rockwell has the lead in the Best Supporting Actor race. Unlike his costar McDormand, however, Rockwell’s performance is at the center of the growing controversy; Rockwell portrays an outwardly racist cop who tortured and killed a black man while in custody, and yet is somehow granted the redemption arc of the century without actually apologizing or facing consequences. Willem Dafoe might be able to swoop in and steal the trophy for his performance in The Florida Project, which would deliver a long overdue and well-deserved win to a previously-nominated actor. Most perplexing is the inclusion of Woody Harrelson in this category, who gives a relatively flat performance in Three Billboards as the Chief of Police (who overlooks the crimes of and even protects Rockwell’s character), while the supporting turns of Armie Hammer and Michael Stuhlbarg in the achingly intimate Call Me By Your Name were overlooked. Amongst the acting categories, this is by far the most contentious. Better still, every single actress here absolutely deserves to win. In the lead is the deliciously wicked Allison Janney, nominated for I, Tonya, with Laurie Metcalf following close behind. Pleasantly surprising is the inclusion of Lesley Manville, who steals every scene in the all-around sublime Phantom Thread. While everyone nominated deserves to be here, it would have been nice to see Tiffany Haddish get recognition for Girls Trip as Melissa McCarthy did for Bridesmaids. A performance that so boldly mixes comedy with heart is a rarity, and a sign of a true star on the rise.